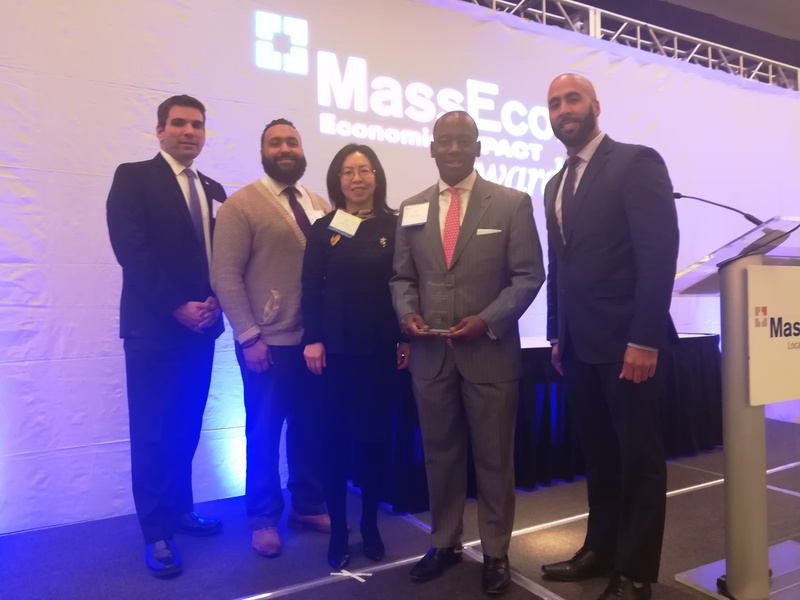 Mayor Domenic J. Sarno today offered his congratulations to both MGM Springfield and CRRC MA on winning MassEcon’s 2018 Team Massachusetts Economic Impact Awards. This is the 15th year of the awards highlighting the best of economic development in the Commonwealth. The companies that were awarded were selected on the basis of job growth, facility expansion, investment, and community involvement since January 1, 2017. The awards were presented on November 20, 2018 at the Renaissance Boston Waterfront Hotel with Governor Charlie Baker. MGM Springfield won the “Gold” award for the West Region, CRRC won the “Silver” award, and Decker Machine Works of Greenfield won the “Bronze” award. The City of Springfield Office of Planning & Economic Development assisted in the nomination of both companies. The full list of awardees for each region can be found here.